The 15th edition of TULCA Festival of Visual Arts—titled They Call Us The Screamers—features artworks by Irish and international artists that are presented across six venues in Galway city, Ireland: Galway Arts Centre, 126 Artist Run Gallery, Nun’s Island Theatre, Connacht Tribune Print Works, Barnacles Hostel, and University Hospital Galway. The exhibition takes its reference from a book written by Jenny James, published by Caliban Books in 1980. The book is an account of Atlantis, the commune she established a few years earlier in the Gaeltacht village of Burtonport, County Donegal, Ireland—promoting an approach of de-programming from the modern Western world through therapeutic self-development and environmental self-sufficiency. 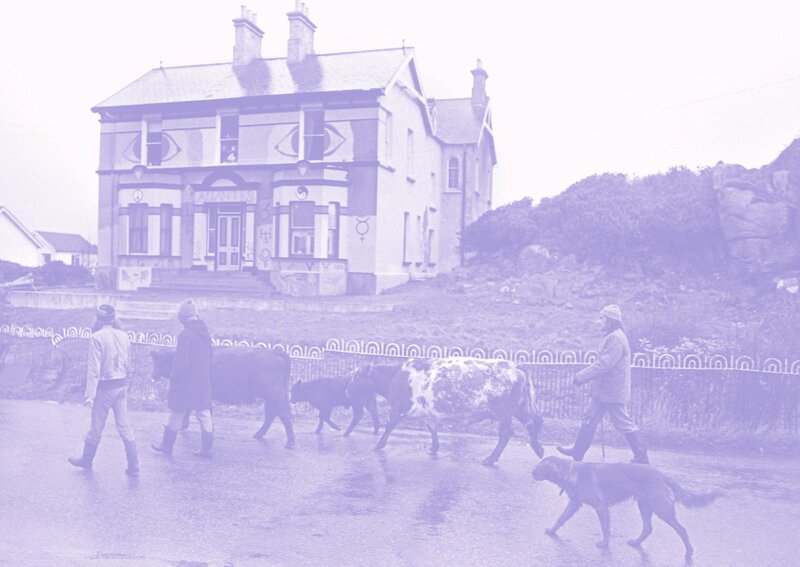 The book is also a response to the controversies and scandals that embroiled the commune during their first years in Ireland, following accusations of cultish behaviour, kidnapping, and physical abuse. The members of the commune were collectively nicknamed “The Screamers” in a 1976 Sunday World article, referring to their practice of primal scream therapy—an adapted form of psychotherapy developed by Dr Arthur Janov that sought to re-enact the traumas of modern upbringing and thereby reverse the neurosis that follows in later life. In 1988, after more than ten years spent in Ireland, coinciding with broader cultural and political changes in the country (including EU membership and the concentration of British state violence in the North of Ireland), members of the Atlantis community departed for Colombia in a refurbished boat. They Call Us The Screamers provides the title and thematic compass for the exhibition, with artworks that are orientated to ideas held together by the historical episode. They include ideas of withdrawal and selfhood (Lucy Stein, Liz Magic Laser, Vicky Langan & Maximilian Le Cain, Richard Proffitt); autonomy and self-sufficiency (Kaspar Oppen Samuelsen & Marie-Louise Vittrup, David Beattie, Ciarán Ó Dochartaigh, Yvette Monahan); voice and neurosis (Florian Roithmayr, Yoko Ono, Fabienne Audeoud); future culture and community (Kian Benson Bailes, Plastique Fantastique, Sam Basu & Liz Murray, McGibbon O’Lynn, Oisin Byrne). The exhibition also features Bob Quinn’s The Family (1979)—a documentary film on Atlantis commissioned the Irish national broadcast network RTE as part of a (subsequently abandoned) TV series on alternative lifestyles, deemed too disturbing for Irish audiences at the time. A publication designed by Alex Synge / The First 47 will be available at all venues, featuring three newly commissioned texts by Sue Rainsford that sound the primal scream through the narrative forms of lyric essay, transcription, and testimony. The exhibition will also be accompanied by an extensive public programme. For further information and updates on events and programmes, please see: www.tulcafestival.com or contact info@tulcafestival.com.